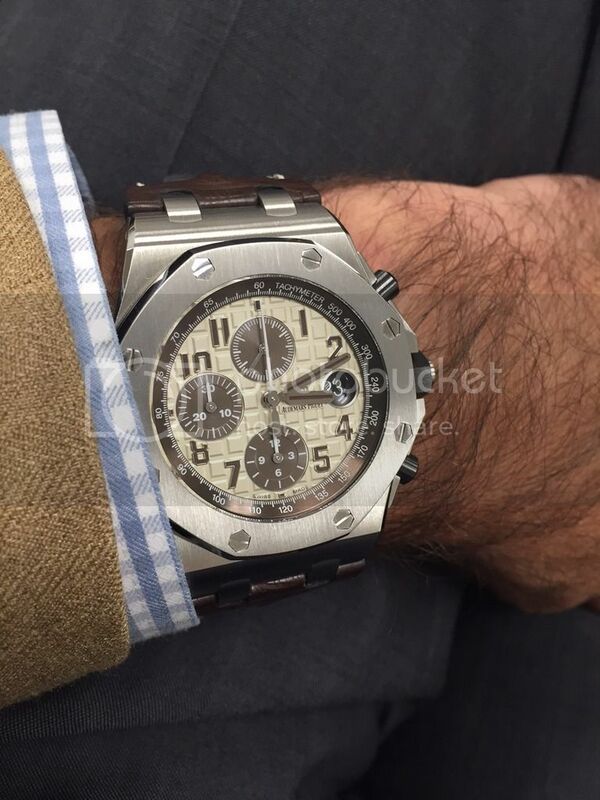 TimeZone : Audemars Piguet » ROO Rah Rega! That's part of a cheer I used to say a lot back in college, but I've found it apropos over the past few weeks while getting to know my new Safari. 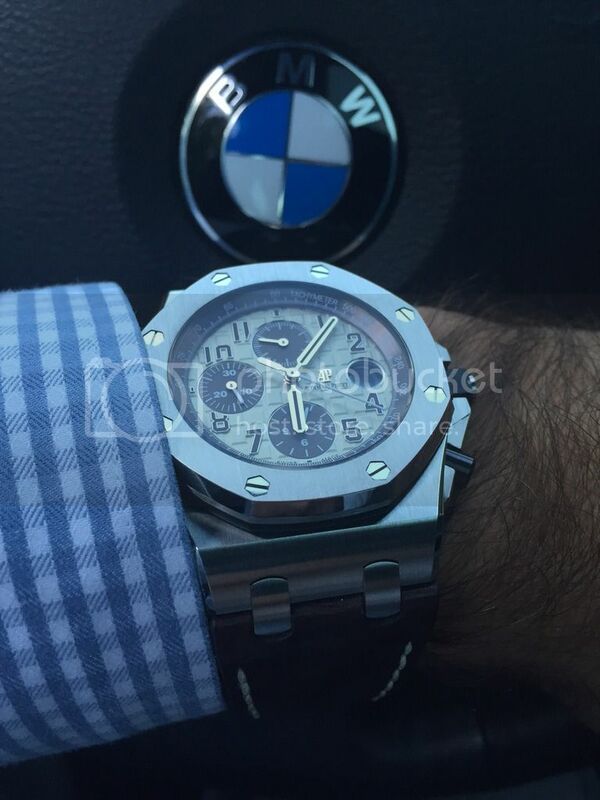 I thought my new AP would be relegated to "casual Friday" attire, but have found it looks great with any gray or brown suit during the rest of the week. 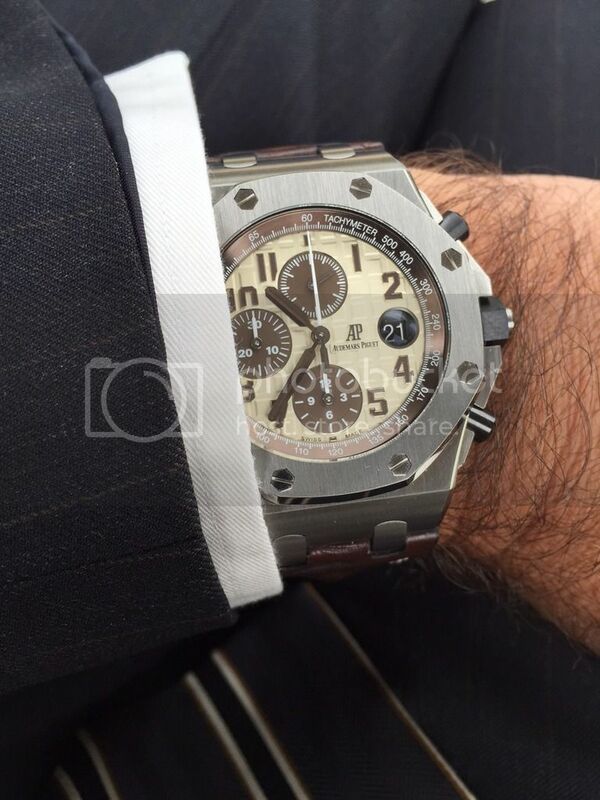 And in this photo, both the dial and the hands appear to be a little more subdued. More pics to come....if you don't mind! Also learning that with this model, there only seems to be three times per hour to set the time accurately, that being at the 30, 45 and 60 minute markers (since there are no other minute markers on the dial). However, since it is keeping pretty good time, I don't have to really focus on that. Sooooo happy with my purchase. Lots to look at and explore on this watch.